For other uses, see Quaternary (disambiguation). 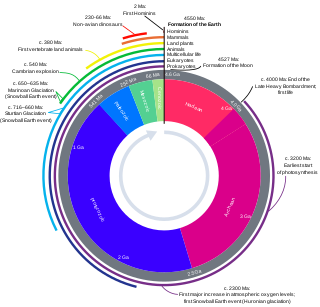 Milankovitch cycles describe the collective effects of changes in the Earth's movements on its climate over thousands of years. The term is named for Serbian geophysicist and astronomer Milutin Milanković. In the 1920s, he hypothesized that variations in eccentricity, axial tilt, and precession of the Earth's orbit resulted in cyclical variation in the solar radiation reaching the Earth, and that this orbital forcing strongly influenced climatic patterns on Earth. Giovanni Arduino was an Italian geologist who is known as the "Father of Italian Geology". The Neogene is a geologic period and system that spans 20.45 million years from the end of the Paleogene Period 23.03 million years ago (Mya) to the beginning of the present Quaternary Period 2.58 Mya. The Neogene is sub-divided into two epochs, the earlier Miocene and the later Pliocene. Some geologists assert that the Neogene cannot be clearly delineated from the modern geological period, the Quaternary. The term "Neogene" was coined in 1853 by the Austrian palaeontologist Moritz Hörnes (1815–1868). The Pleistocene is the geological epoch which lasted from about 2,588,000 to 11,700 years ago, spanning the world's most recent period of repeated glaciations. The end of the Pleistocene corresponds with the end of the last glacial period and also with the end of the Paleolithic age used in archaeology. Biostratigraphy is the branch of stratigraphy which focuses on correlating and assigning relative ages of rock strata by using the fossil assemblages contained within them. Usually the aim is correlation, demonstrating that a particular horizon in one geological section represents the same period of time as another horizon at some other section. The fossils are useful because sediments of the same age can look completely different because of local variations in the sedimentary environment. For example, one section might have been made up of clays and marls while another has more chalky limestones, but if the fossil species recorded are similar, the two sediments are likely to have been laid down at the same time. Glaciation took place repeatedly during the Quaternary Ice Age – a term coined by Schimper in 1839 that began with the start of the Quaternary about 2.58 Mya and continues to the present day. In 1821, a Swiss engineer, Ignaz Venetz, presented an article in which he suggested the presence of traces of the passage of a glacier at a considerable distance from the Alps. This idea was initially disputed by another Swiss scientist, Louis Agassiz, but when he undertook to disprove it, he ended up affirming his colleague's hypothesis. 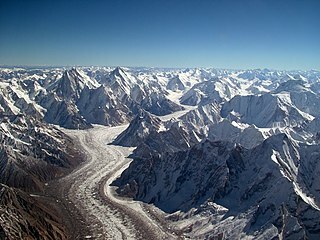 A year later, Agassiz raised the hypothesis of a great glacial period that would have had long-reaching general effects. This idea gained him international fame and led to the establishment of the Glacial Theory. In time, thanks to the refinement of geology, it has been demonstrated that there were several periods of glacial advance and retreat and that past temperatures on Earth were very different from today. 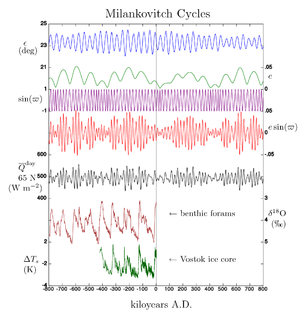 In particular, the Milankovitch cycles of Milutin Milankovitch are based on the premise that variations in incoming solar radiation are a fundamental factor controlling Earth's climate. The Holocene is the current geological epoch. It began approximately 11,650 cal years before present, after the last glacial period, which concluded with the Holocene glacial retreat. The Holocene and the preceding Pleistocene together form the Quaternary period. 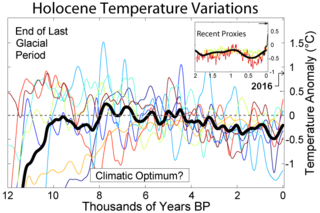 The Holocene has been identified with the current warm period, known as MIS 1. It is considered by some to be an interglacial period within the Pleistocene Epoch. Tertiary is the former term for the geologic period from 66 million to 2.58 million years ago, a timespan that occurs between the superseded Secondary period and the Quaternary. The Tertiary is no longer recognized as a formal unit by the International Commission on Stratigraphy, but the word is still widely used. The traditional span of the Tertiary has been divided between the Paleogene and Neogene periods and extends to the first stage of the Pleistocene Epoch, the Gelasian stage. There have been five or six major ice ages in the history of Earth over the past 3 billion years. The Late Cenozoic Ice Age began 34 million years ago, its latest phase being the Quaternary glaciation, in progress since 2.58 million years ago. A glacial period is an interval of time within an ice age that is marked by colder temperatures and glacier advances. Interglacials, on the other hand, are periods of warmer climate between glacial periods. The last glacial period ended about 15,000 years ago. The Holocene epoch is the current interglacial. 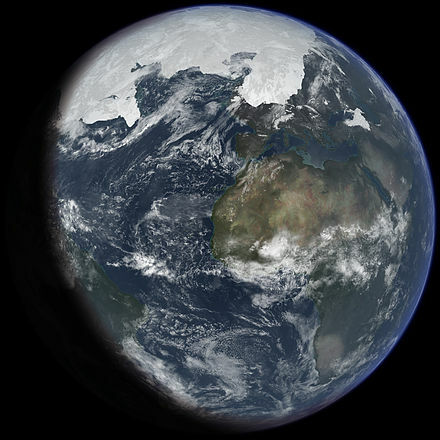 A time with no glaciers on Earth is considered a greenhouse climate state. The Anglian Stage is the name used in the British Isles for a middle Pleistocene glaciation. It precedes the Hoxnian Stage and follows the Cromerian Stage in the British Isles. The Anglian Stage is equivalent to the Elsterian Stage of northern Continental Europe, the Mindel Stage in the Alps and Marine Isotope Stage 12. The Anglian Stage and Marine Oxygen Isotope Stage 12 started about 478,000 years ago and ended about 424,000 years ago. The Hoxnian Stage is a middle Pleistocene stage of the geological history of the British Isles. It precedes the Wolstonian Stage and follows the Anglian Stage. The Hoxnian Stage corresponds to the Holstein Interglacial in northern Europe and the Mindel-Riss Interglacial in the Alps. It is equivalent to Marine Isotope Stage 11. Marine Isotope Stage 11 started 424,000 years ago and ended 374,000 years ago. The Hoxnian divided into sub-stages Ho I to Ho IV. The Wolstonian Stage is a middle Pleistocene stage of the geological history of earth that precedes the Ipswichian Stage and follows the Hoxnian Stage in the British Isles. The Wolstonian Stage apparently includes three periods of glaciation. The Wolstonian Stage is temporally analogous to the Warthe Stage and Saalian Stage in northern Europe and the Riss glaciation in the Alps, and temporally equivalent to all of the Illinoian Stage and the youngest part of the Pre-Illinoian Stage in North America. It is contemporaneous with the North American Pre-Illinoian A, Early Illinoian, and Late Illinoian glaciations. The Wolstonian Stage is equivalent to Marine Isotope stages 6 through 10. It started 352,000 years ago and ended 130,000 years ago. The Illinoian Stage is the name used by Quaternary geologists in North America to designate the period c.191,000 to c.130,000 years ago, during the middle Pleistocene, when sediments comprising the Illinoian Glacial Lobe were deposited. It precedes the Sangamonian stage and follows the Pre-Illinoian Stage in North America. The Illinoian Stage is defined as the period of geologic time during which the glacial tills and outwash, which comprise the bulk of the Glasford Formation, accumulated to create the Illinoian Glacial Lobe. It occurs at about the same time as the penultimate glacial period. The Yarmouthian stage and the Yarmouth Interglacial were part of a now obsolete geologic timescale of the early Quaternary of North America. The Beestonian Stage is the name for an early Pleistocene stage used in the British Isles. It precedes the Cromerian Stage and follows the Pastonian Stage. This stage consists of alternating glacial and interglacial phases instead of being a continuous glacial epoch. It is equivalent to the Bavelian, Waalian, and Eburonian stages from the Netherlands Quaternary subdivision combined and Marine Isotope stages 22 to (60?). The Beestonian Stage and Marine Isotope Stage 22 ended about 866,000 years ago. The Pre-Pastonian Stage or Baventian Stage, is the name for an early Pleistocene stage used in the British Isles. It precedes the Pastonian Stage and follows the Bramertonian Stage. This stage ended 1.806 Ma at the end of Marine Isotope Stage 65. It is not currently known when this stage started. The Pre-Pastonian Stage is equivalent to the Tiglian C4c Stage of Europe and the Pre-Illinoian J glaciation of the early Pre-Illinoian Stage of North America. The Late Pleistocene is a geochronological age of the Pleistocene Epoch and is associated with Upper Pleistocene stage rocks. The beginning of the stage is defined by the base of the Eemian interglacial phase before the final glacial episode of the Pleistocene 126,000 ± 5,000 years ago. Its end is defined at the end of the Younger Dryas, some 11,700 years ago. The age represents the end of the Pleistocene epoch and is followed by the Holocene epoch. The Pre-Illinoian Stage is used by Quaternary geologists for the early and middle Pleistocene glacial and interglacial periods of geologic time in North America from ~2.5–0.2 Ma. The Early Pleistocene is a subepoch in the international geologic timescale or a subseries in chronostratigraphy, being the earliest or lowest subdivision of the Quaternary period/system and Pleistocene epoch/series. It spans the time between 2.588 ± 0.005 Ma and 0.781 ± 0.005 Ma. The Early Pleistocene consists of the Gelasian and the Calabrian ages. In the geologic time scale, the Meghalayan is the latest age or uppermost stage of the Quaternary. It is also the upper, or latest, of three subdivisions of the Holocene epoch or series. Its Global Boundary Stratotype Section and Point (GSSP) is a Mawmluh cave formation in Meghalaya, northeast India. Mawmluh cave is one of the longest and deepest caves in India, and conditions here were suitable for preserving chemical signs of the transition in ages. The global auxiliary stratotype is an ice core from Mount Logan in Canada. 1 2 3 Cohen, K.M. ; Finney, S.C.; Gibbard, P.L. ; Fan, J.-X. "International Chronostratigraphic Chart 2013" (PDF). stratigraphy.org. ICS. Retrieved 15 June 2014. ↑ Denton, G.H. ; Anderson, R.F. ; Toggweiler, J.R.; Edwards, R.L. ; Schaefer, J.M. ; Putnam, A.E. (2010). "The Last Glacial Termination". Science. 328 (5986): 1652–1656. CiteSeerX 10.1.1.1018.5454 . doi:10.1126/science.1184119. PMID 20576882. ↑ Lowe, J.J.; Walker, M.J.C. (1997). Reconstructing Quaternary Environments. Routledge. ISBN 978-0582101661. English translation: Ell, Theodore (2012). "Two letters of Signor Giovanni Arduino, concerning his natural observations: first full English translation. Part 2". Earth Sciences History. 31 (2): 168–192. doi:10.17704/eshi.31.2.c2q4076006wn7751. ↑ "Late Quaternary Fluvial and Coastal Sequences Chapter 1: Introduction" (PDF). Retrieved March 26, 2017. 1 2 Cohen, K.M. ; Finney, S.C.; Gibbard, P.L. ; Fan, J.-X. "International Chronostratigraphic Chart". International Commission on Stratigraphy . Retrieved July 10, 2018. 1 2 "IUGS ratifies Holocene" . Retrieved 18 August 2018. 1 2 "announcement ICS chart v2018/07" . Retrieved 9 August 2018. ↑ Zalasiewicz, J.; Williams, M.; Haywood, A.; Ellis, M. (2011). "The Anthropocene: a new epoch of geological time?". Philosophical Transactions of the Royal Society A. 369 (1938): 835–841. doi:10.1098/rsta.2010.0339. PMID 21282149. ↑ "Working Group on the 'Anthropocene'". Subcomission on Quaternary Stratigraphy. Retrieved 16 June 2014. ↑ Haynes. "Stanford Camelops" (PDF). Archived from the original (PDF) on 2014-03-09.